I have installed successfully the pre configured vm of nextcloud community. I know that my question maybe is irrelvant for this forum, but i think the idea of the question is relevent or maybe similiar. “Thank you for downloading the pre-configured Nextcloud VM! 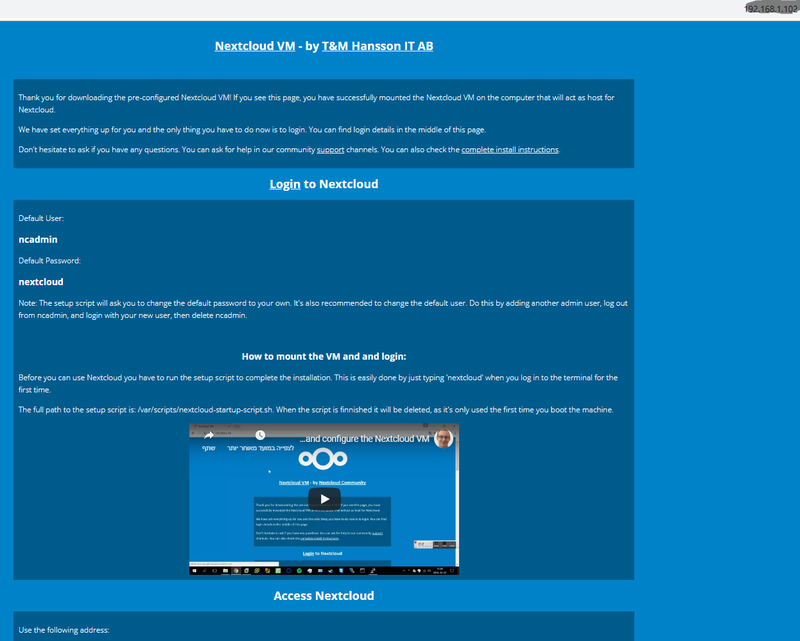 If you see this page, you have successfully mounted the Nextcloud VM on the computer that will act as host for Nextcloud. We have set everything up for you and the only thing you have to do now is to login. You can find login details in the middle of this page”. although the vm was installed successfully and i can enter url https and access nextcloud and everything works fine, the http contain the single index page that i want to either edit or remove. i want to edit it, but can’t locate the php file. i tried several commands and nothing works. of course i don’t want to change the original file on github but i want to edit it just for my private installation and do it through the console managment with commands. none of them open the file i want to edit. to clarify things - i upload a picture of the page i want to edit. Looking at https://www.hanssonit.se I don’t think this is the ucs VM, but another virtual machine. Your question refers to the appliance on the left side. This forum is a good place regarding the appliance on the right side. 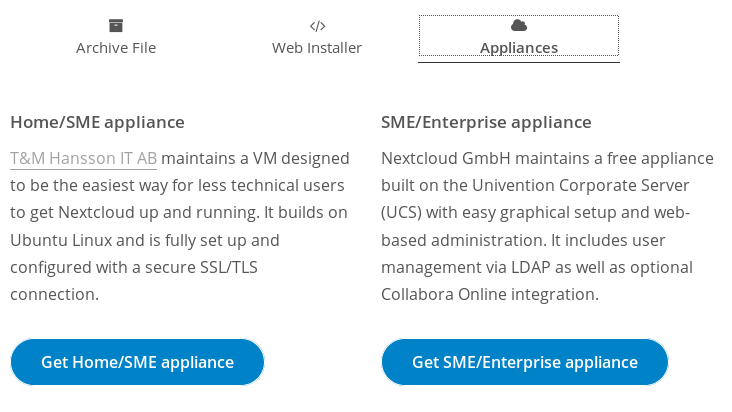 I suggest to direct your question directly to the maintainer of the home appliance or to the Nextcloud forum.